Thank you for visiting Copper “ Baby Impressions Artwork ” – a Copper Art Designs production. 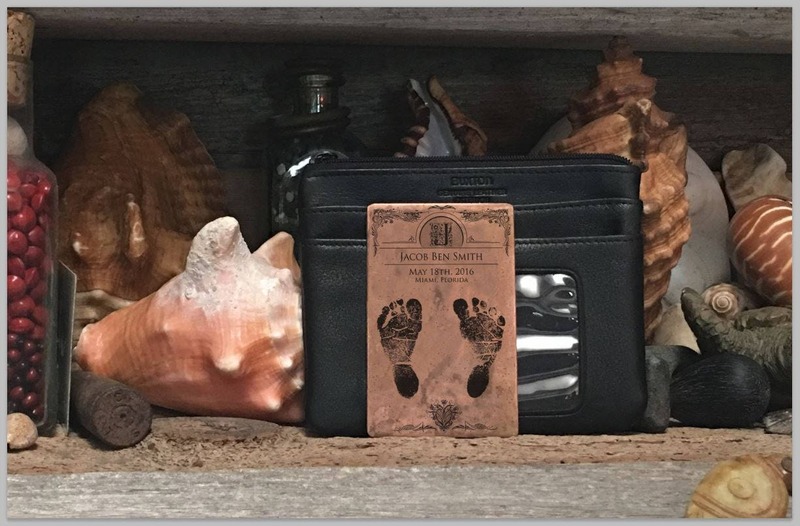 If you are looking for a unique gift for a baby shower or a memory of your own baby's birth, the Copper Baby Impressions Artwork, wallet card and keychain is a wonderful keepsake of that special event, personalized with the details of the new life that has been brought into the world. The Copper Baby Impressions Artwork which dimensions are 5.5 x 7.5 inches can be displayed on desktop or dresser and is perfect for a nursery. 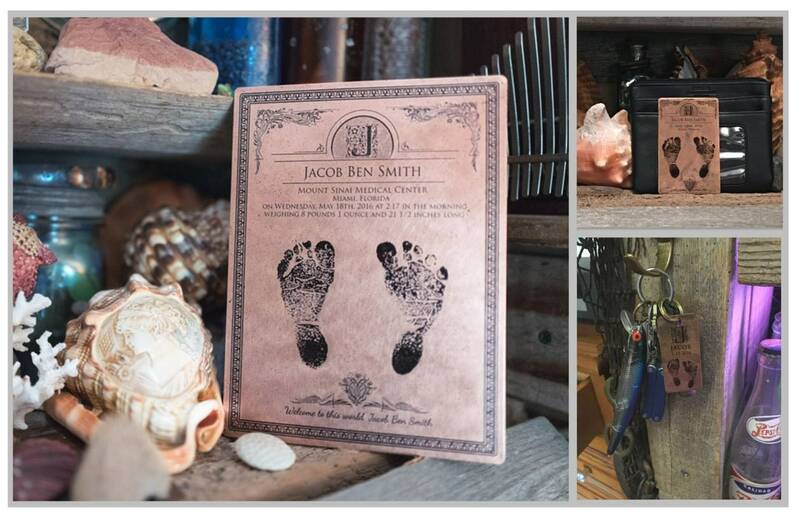 These heirloom-quality Copper Baby Impressions keepsakes will last a lifetime and beyond. Our Copper Baby Impressions Artwork are a truly special gift that is personalized for your baby, for you or a loved one. It will be treasured and will remain a fond lifetime reminder of that special birth day. These are completely customizable impressions that beautifully capture your baby’s precious small size hands or footprints while recording your baby’s name, date and time of birth, hospital and place of birth, weight, and measurements. These are all personalized detailed items that will be cherished on the new life that has been brought into the world. The final Copper Baby Impressions Artwork can be proudly displayed using an easel or pictured framed at your convenience. The Copper Baby Impressions Artwork can be personalized in just about any language. Copper Art Designs is dedicated to make sure it creates memories with this unique, one-of-a kind personalized artwork. 1. ORDER: Start by adding the item to your cart. You can purchase the Copper Baby Impressions Artwork with or without an easel. 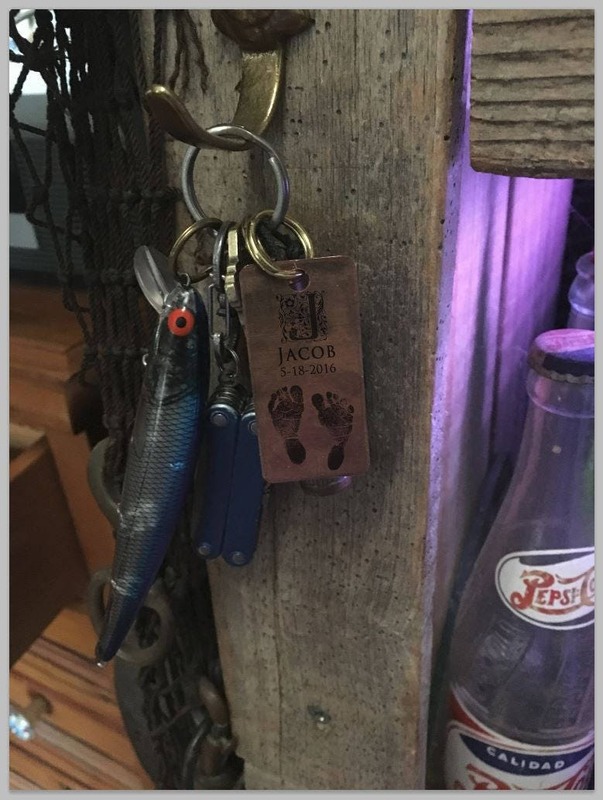 You also can add a Copper Keychain and Copper Wallet Card which will capture your baby’s precious small size hands or footprint on them and always keep it with you. 2. CUSTOM / PERSONALIZED: Please send me a message with the text/dates/name/names/words exactly the way you'd like to have it displayed on your Copper Baby Impressions Artwork. I will attempt to incorporate it into the design as best that I can. For detail etching, I can work with ink hand and footprints. Generally customers send me a scanned image of the hospital prints. The scanned image (full color - .jpg, .tif, .pdf format) needs to be at 600dpi and please take a picture of the actual hands or footprint impression document to me via Etsy convo or juan [!at] vbcopper.com . I will do my very best to maintain as much detail as possible, but this all depends on the quality of the scanned image provided. 3. COMMENTS/NOTES: Please send me a message if you are sending it as a gift (different address than yours) and you would like for me to provide a personalized note/message please include it. 4. PROOFING: A digital copper draft proof of your Copper Baby Impressions Artwork will be emailed to you for review and approval within two (2) days of submitting your order. 5. APPROVAL: After your approval of the digital copper draft proof of the Copper Baby Impressions Artwork I will then have the design prepped for etching. 6. PRODUCTION: This item is handmade to order. The Copper Baby Impressions Artwork and Patinas goes through a series of processes and it takes time. Our time frame for processing varies depending on our current order volume. 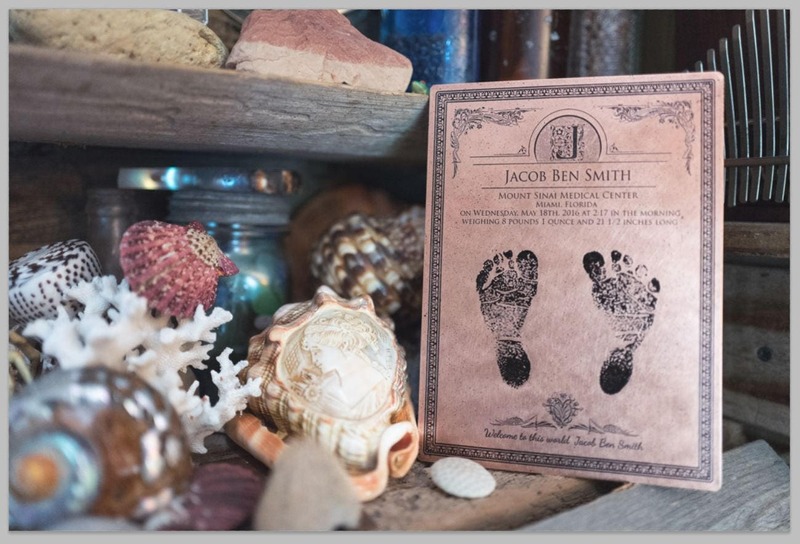 Our design, etching and final presentation production time is generally 3-5 days depending on the size and design complexity of your Copper Baby Impressions Artwork. Please allow an additional 2-5 business days for shipping. 7. ADDITIONAL INFORMATION: Copper Baby Impressions Artwork will arrive in an eco-friendly cloth bag, ready for gift giving! Please take a moment to read my shop policies - I promise, you'll be glad you did!, especially the Additional Policies and FAQs section.